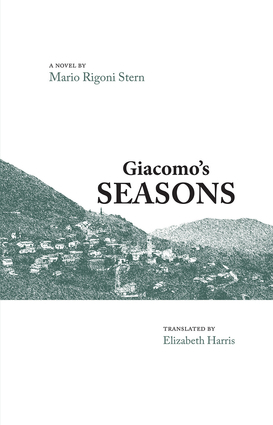 Set in Asiago, in the pre-Alps of Italy’s Veneto region, this novel tells the story of a mountain people who must adjust to life following the devastation of World War I. The story follows the young protagonist Giacomo through seasons and years as he, his family, and his entire community struggle to survive, salvaging scrap weaponry from former battlefields in the hills around them. Some must leave their homes in search of work abroad, splitting up families and threatening the mountain community with slow disintegration. They must also adjust to the ominous growth of fascism and, finally, face yet another war. Written with clarity and deceptively simple language, this is simultaneously a story of great hardship and a loving portrayal of a vanishing way of life of an ancient people tied closely to the natural world. Mario Rigoni Stern was the recipient of numerous literary awards, including the Campiello Prize, the Italian P.E.N. Prize, and the Grinzane Cavour Prize. He was the author of more than 20 books, including The Sergeant in the Snow. Elizabeth Harris is a teacher of creative writing at the University of North Dakota. Her translations have appeared in numerous literary journals and anthologies and include the Giulio Mozzi story collection This Is the Garden. She lives in Grand Forks, North Dakota.